Nothing is decided yet, although one tie does look to be just about done and dusted. The rest of the 7 games in the Eurocup though were pretty tight, which means that we have a great bunch of second leg ties to look forward to. There was even a draw in Germany amongst the close run things in the opening leg of the Last 16 of the Eurocup. The all-German affair ended in a draw, which isn’t something that too many basketball fans get to see! ALBA had triumphed in the German Cup Final at the weekend but this result leaves Bayern in the driving seat for the second leg which will be played in Munich. Both teams were ahead late on, ALBA led by 9 points and in the fourth quarter, Bayern were ahead by 7 points. Elmedin Kikanovic grabbed 24 points for the hosts while Jordan Taylor picked up 18 points and 5 assists. Dusko Savanovic offered 15 points and 7 rebounds for the away team and Paul Zipser grabbed 14 points. A big away win sees Las Palmas looking in good shape for the second leg next week and their 17 point lead could be decisive. The away team took control early on and Sasu Salin offered up the first 8 points on the night and Gran Canaria enjoyed a 0-11 scoring run early on. The hosts got back into the game at 37-40 but this was the cue for another impressive scoring run from the away team, 0-16, and the result was never in doubt from this point. Salin grabbed 18 points in total and DJ Seeley offered 16 points for the winners while Nobel Boungo-Colo and Leo Westermann grabbed 13 points each for the losing team. The narrow win for the away side will see them favourites for next week but this is a tie that is firmly in the balance heading into Game 2. This was the third game Strasbourg have lost in a row and unless they snap out of this run next week, their European dreams will be over for the season. It was a game where Oldenburg were usually in the lead but never by a convincing margin. The hosts put together a 10-0 scoring run which put them narrowly in the lead at 55-54 but the away team rallied and took control again. Rickey Paulding grabbed 24 points in the win while Brian Qvale and Nemanja Aleksandrov both delivered 13 points each. Rodrigue Beaubois was the top man for the hosts, grabbing 17 points while Paul Lacombe offered 14 points. The away team rallied from a double digit deficit in the third quarter to take the win, and give themselves a good chance of success in the home leg. 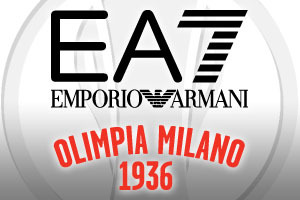 The tightness of the game is shown by the fact that the lead changed hand 6 times in the final quarter but a 2-9 scoring run at the death ensured Milan grabbed the win. Rakim Sanders offered up 19 points, Kuronslav Simon grabbed 15 points and three other Milan players edged into double figures. Courtney Fortson was the leading player for the hosts, offering 18 points and 7 assists. This game went to the wire and a basket with 0.7 seconds left on the clock split the teams and gave the hosts an advantage heading into the second leg. The away team were in command early on and a 2-13 scoring run set them strongly but by half-time, the score was 44-45. It was nip and tuck in the second half before the hosts grabbed a decisive late-winner. Tomas Bellas, the match-winner, grabbed 14 points as did Slava Kravtsov while Julian Wright offered up 22 points for the hosts. The hosts destroyed Zenit on Wednesday night and they should be in complete control of this tie on the way to the second leg. After ten minutes, the home team were 27-12 ahead and at half-time, the score was 54-28. The highest lead was 83-50 but Zenit managed to pull that back slightly as the game wore on. Victor Rudd provided 28 points and Ivan Strebkov grabbed 21 points for the big winners on the night. For the away team, Zab Dowdell provided 15 points and Janis Timma grabbed 11 points and 17 rebounds. This was a close game and the away team managed to rally to take a good lead into the home tie. 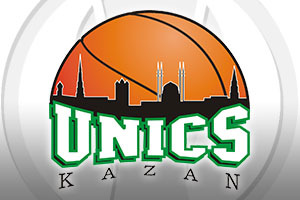 Unics Kazan have won this tournament before and they have always reached the semi-final stage when they have been involved in the tournament and they look in good shape to continue their run in this event. The hosts were 28-15 ahead in the second quarter, but this lead was cut to 5 by half-time, the teams going into the break at 35-30. Quino Colom grabbed 17 points and 11 assists for a big double-double for the away team, Keith Langford grabbed 19 points and Latavious Williams picked up 15 points and 8 rebounds. The best player for the home team was Mateusz Ponitka, who grabbed 21 points. While the hosts will be pleased with the win, they will feel that this was a missed opportunity, particularly when you consider how far they were in control of the opening 35 minutes of the game. A 3-14 run changed that, with Glatasaray sneaking ahead late on but Pinar rebounded strongly and give themselves something to hold on to next week. Colton Iverson grabbed 16 points and 10 rebounds while Kenny Gabriel provided 13 points for the winners. Errick McCollum provided 21 points and 13 rebounds for the losing team and if he can do that again next week, the Istanbul side will believe they can sneak through.